La-Man Corporation's logo says that "We make compressed air work". 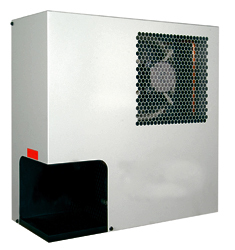 The Mazeppa, Minnesota company offers a series of refrigerated air dryers that deliver reduced dewpoint temperatures and air line filtration for a wide variety of compressed air applications. They use a unique 3-in-1 heat exchanger to first pre-cool the air, then to refrigerate the air so that it condenses out all liquid vapors, and finally to return heat to the air to prevent downstream pipe sweating and condensation. The product line features include a power on light, dewpoint indicator, programmable timed solenoid drain, quite operation and a compact footprint. The maximum inlet pressure is 232 PSI. La-Man uses a worldwide network of over 2,000 quality distribution branches to service its diverse market. The company proudly manufactures in the U.S.A., and its products can provide solutions to many of today’s complex air control filtration and purification products. 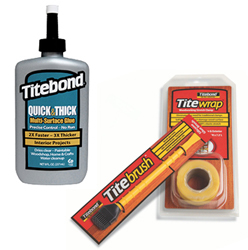 Titebond recently released three new products that woodworkers will find useful. Quick & Thick interior multi-surface glue comes in an 8-oz. bottle	and this thixotropic polyvinyl acetate is two times faster and three times thicker than traditional PVA glues, plus it has "excellent sandability on wood". A high-viscosity white glue (60% solids), it provides strong initial tack, fills small gaps, sets fast and yet allows realignment of working pieces. It also dries clear, has excellent strength, can be used in vertical applications, is paintable, nontoxic, nonflammable (flashpoint is 200°F), relatively odorless and cleans up with water. The company also introduced Titebrush, a durable, easy-to-clean tool that spreads glue easily. The bristles are 100% silicone, so woodworkers can wash them in warm water, or just riffle or peel off the dried glue. The plastic handle has a paddle end. And Titewrap can replace the need for traditional clamps, and is especially useful for holding irregular joints or pieces that are difficult to clamp in place. 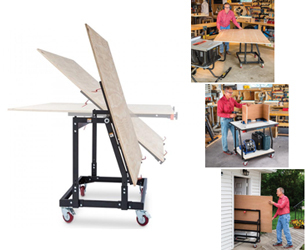 Rockler Woodworking & Hardware has a new 'Material Mate' panel cart and workbench combo (Item #: 56889) that makes a lot of sense for small woodshops or onsite work. It lets the woodworker easily roll full 4' x 8' sheets from a truck or lumber rack to the table saw. The tilting top allows convenient loading from a vertical stack (sheets standing against a wall) , and then it can be tilted flat to slide the sheet onto a saw. The vertical position also allows passage through a service door as narrow as 30'', and also provides a more compact footprint when it's not in use. With the top in the horizontal position, one can unload sheets directly from the bed of a pickup truck. Plus, the woodshop can add a top and use the Material Mate as a mobile work table, or outfeed table. It comes with smooth-rolling 4'' casters (two swivel/lock and two fixed), and is adjustable from 31'' to 36'' high in the horizontal position. It weighs about 66 lbs and costs $249.99 plus shipping. 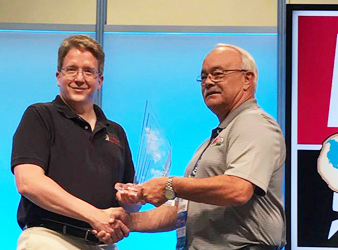 Twelve companies earned Visionary New Product Awards for innovation at AWFS, one of which was presented to Next Wave Automation for its Virtual Vision 3D software. This is an affordable and easy-to-use 3D laser scanner that can be attached to any of Next Wave Automation’s small shop and hobbyist CNCs. It allows the user to quickly map any object that is placed on the CNC table in 3D, to create a model. Users can then accurately engrave, carve or 3D print a duplicate using that 3D model. Virtual Vision 3D will be available in early 2018. According to company president Tim Owens (at right in black shirt, receiving the award), it will run about $1,000 and scans down to roughly 3/1000" over 3". The company is known for its Shark™ and Piranha CNC machines. LIGNA, which was held in Hannover, Germany in May, is billed as "the world's leading trade fair for machinery, plant and tools for the woodworking and timber processing industry" (it had 93,000 visitors). 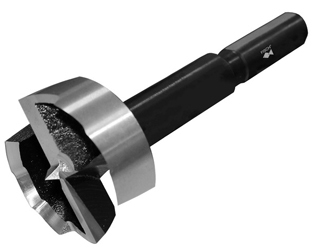 At that event, and again at AWFS in Las vegas in July, the Austrian company Fisch Tools (founded in 1946) introduced its new Black Shark line of Forstner bits. They are designed to deliver fast and precise drilling in hardwoods with less effort to woodworkers and installers. That's because they incorporate Fisch's tried and true wavy edge (Wave Cutter) technology that significantly reduces dynamic friction. The company says these bits deliver up to a 25% increase in speed, for faster and effort-saving cutting. The newest generation has a shank with three flats, which stops the bits ever slipping in the chuck, and the company "guarantees the longest possible service life". Black Shark bits are available in imperial and metric sizes. As cabinetmaking becomes more automated, we're seeing a lot of new fasteners on the market. Each has its own benefits. Fastenlink, for example, uses standard equipment and is incredibly simple. It's just a specially shaped plastic dowel. One end goes in a hole, and the other slips into a ramped slot. Slide the parts and they lock together. It's fast, easy to get into, economical, and above all simple. Installers can assemble RTA casework on the jobsite with little more than a rubber mallet. For CNC applications, it is supported by Cabinet Vision, Microvellum, WoodCAD/CAM and KCD software. 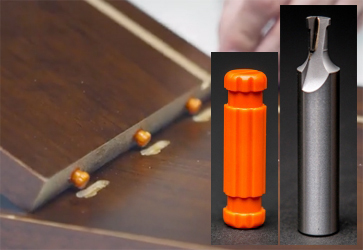 In the image at right, the inset images are the special router bit and one of the fasteners (slightly out of scale), and in the background is a drawer side being assembled to a drawer front using three FastenLink dowels. The front lies on the workbench, the side is being dropped in place, and a quick tap to the top edge will lock it in place. 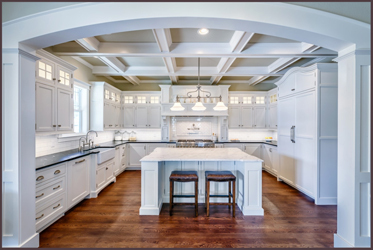 The Cabinet Makers' Association (CMA) is based in Chicago and represents hundreds of small to medium-sized cabinet and furniture builders. 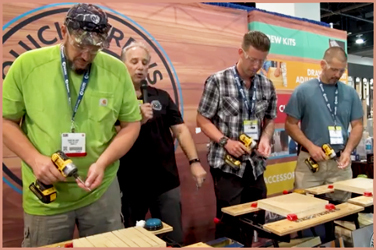 It delivers "more education to more woodworkers in more places than any other woodworking industry organization", and each year it awards excellence in woodworking and cabinetry through its annual Wood Diamond Awards. In 2017, the CMA recognized 34 award winners from 17 member companies, including the stunning kitchen at left by The Artisan Shop. That Colorado business has a Boulder showroom, and it make all of its cabinets, doors, drawer fronts, drawer boxes and the majority of its accessories in-house at a shop and showroom complex in Loveland. The Artisan Shop "combines today’s modern technology with the hands-on craftsmanship of true artisans". C.R. Onsrud claimed the Industry 4.0 category in the Visionary Awards at the AWFS show last month. 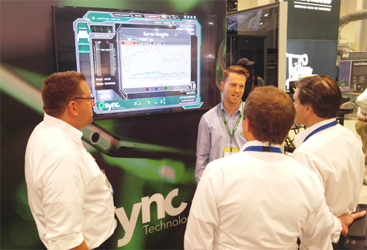 Its Osync Machine Analytics™ 2.0 open-architecture software gives woodshop managers a customizable interface, providing both real-time and archived data about machine stability and performance. This is not just a monitoring software: it collects machine performance data and uses complex algorithms to offer predictive analytics. "There are several other companies working to introduce their own monitoring programs," said Jeff Onsrud. "But most are still conceptual, and limited to basic monitoring features at this point. Osync has been functional for over two years." During AWFS it monitored the machinery in the Onsrud booth, as well as that of new strategic partner, the IMA Schelling Group. The third partner in this alliance, Eurosoft, integrates Osync into workflow software so that end-users get better predictive capabilities. 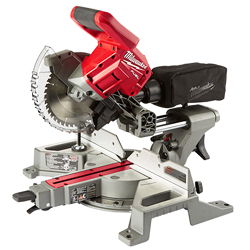 "Lightest Weight Cordless Miter Saw"
The new M18 FUEL™ 7-1/4" dual bevel sliding compound miter saw (model 2733-20) from Milwaukee Tool weighs in at only 28 lbs with the battery. 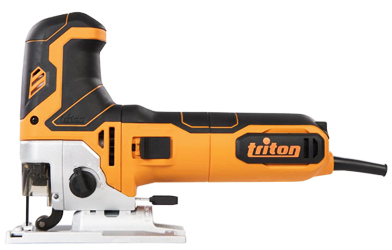 The combination of its Powerstate™ brushless motor and lithium-ion XC5.0 battery delivers over 600 cuts in 1x trim or 300 cuts in 2x4s for all day run-time on a single charge. It is ideal for woodworkers on the jobsite, especially for punch list or callback work. Integrated side and top carry handles make it easy to carry, and when it is mounted on Milwaukee’s newest miter saw stand, it still comes in at just 59 lbs. It is also the only 7-1/4" saw in its class with the ability to bevel both left and right. It will handle stock that is 3-1/2" tall against the fence, 2x8s flat, and 3-5/8" crown that is nested in position. It runs at 5,000 RPM and replaces the laser guide with an LED that directs light onto both sides of the blade, casting a crisp shadow the width of the blade kerf that is also easy to view in sunlight. This new tool is fully compatible with the entire M18™ line, now offering more than 150 power tool products. Indiana-based Thermwood has just posted a number of comments from owners of its Cut Center, which can operate in the traditional CNC manner but can also start cutting furniture or cabinet parts with no custom programming, no computer and no software. Just select a project from the library, plug in the size and start feeding material to the machine. The new blog entry presents videos featuring five owners and their impressions of the machine, and its capabilities. The Cut Center won the IWF Challenger Award in 2014, so it's new but shop-tested. The new videos are based on actual track records in woodshops. This machine is so intuitive, almost any employee can run it. The touch screen asks a few questions in plain English (no computer-speak), and then goes to work. 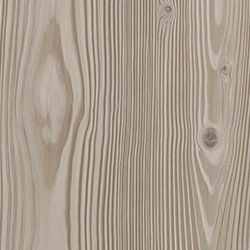 UNILIN's Evola is a melamine decorative paneling collection with 168 designs. It includes lifelike wood decors and embossed textures. 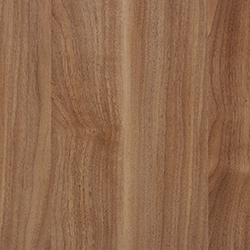 The image shown at left is Nordic Pine grey brown (H449 W04), and at right is Aneto Walnut (H581 BST). Among the species replicated are apple, ash, beech, birch, exotic, maple, oak, pine and walnut. Each is available in dark, gray, light, natural or red tones, and woodworkers can request free samples. Unilin is a division of Mohawk Industries, Inc., which is the world’s largest flooring company. 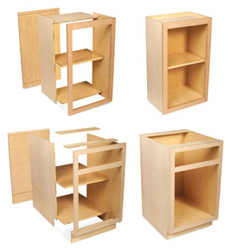 The Cabinotch® system for assembling face-frame boxes features American-made, formaldehyde-free hardwood plywood and a patent-pending interlocking joint. 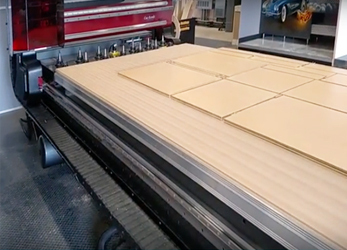 The company had a grand opening celebration for its second manufacturing plant in Salem, Oregon on Auigust 10, beginning with two training presentations on incorporating Cabinotch and KCD Software into custom cabinet manufacturing. Both face frame and European designs were ordered and sent to manufacturing during the presentation. The celebrations were attended by Governor Kate Brown who assembled a box, and included a pig roast barbecue and plant tours. Attendees also visited the 180-employee plant of neighboring CabDoor, which hosted plant tours and breakout sessions on how to survive the current labor shortage, Lean Principles as applied to the CabDoor production system, and business transition planning. Cabinotch Innovative Solutions is located at 2710 Pringle Road in Salem, Oregon. The South Pacific nation of Papua New Guinea (PNG) is home to the largest remaining tropical rainforest in the Asia-Pacific region, and one of the biggest land grabs in modern history. 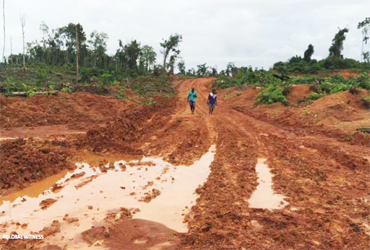 Between 2014 and 2016, an international NGO called Global Witness traced a supply chain spanning some 9,000 miles from the PNG’s forests to retail shelves in the U.S. The resulting report, Stained Trade, reveals how companies along wood product supply chains leading through China are failing to screen out illegal timber. It shows the risks this creates for U.S. companies, and the devastating impact the trade is having on people in PNG. That country's indigenous communities own their land according to their constitution. But in the absence of support from their own government, or the international community, this hasn’t protected them from exploitation by multi-national logging and agribusiness interests. John Dickey makes furniture from wood salvaged from homes, barns, mills and wooden schooners. In late 2016 his company, Timberguy Furniture, acquired materials salvaged from a boat that was found in Boston's Seaport District during construction. On August 11, remnants from the wreck and furniture made from the salvaged materials are on display at Boston's District Hall. Character rich planks and beams are salvaged and find new life as furniture, interior elements and decorative features in corporate offices, restaurants, private homes and municipal offices throughout Boston, and beyond. Shown at right is The Cube side table (16"x16"x 24") which was fashioned from ceiling plank oak. Working closely with architects, interior designers, developers and private clients, each project is unique: riser-less stair treads, faux beams, sliding barn doors, bar tops, flooring, trim, benches and more. Timberguy Furniture is located in Charlestown, Mass. Wood, bamboo, straw and other plant-based materials can be used to provide housing, consumer products, energy and other benefits for society. Now students at Oregon State can pursue a degree that teaches them how to design, manufacture and market products made from renewables. The catalog says that "a sustainable world requires greater use of green renewable materials and demands college graduates who know how to efficiently produce, market and use these materials". The wood products industry continues to develop clean, responsible methods of production with less waste, even as demand for wood-based products increases. 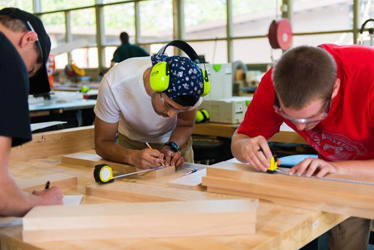 The Bachelor of Science in Renewable Materials (RM) is designed to teach students how to help the world replace oil-based and other non-renewable materials with plant-based renewable alternatives, and help shape the future of wood products design and manufacturing. 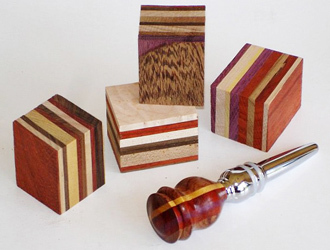 Cormark International now offers free shipping on turning block orders over $100. The company is located near Asheville, North Carolina, and supplies exotic hardwoods as lumber, logs, slabs, veneers, and laminated turning blanks. The species include African blackwood, kiaat, ebony, mahogany, teak, rosewood, merbau, African olivewood, pink ivory, zebrawood and more. Cormark is able to source most exotic and domestic woods at competitive prices. Sustainability and sound reforestation programs are key. The company has a strong commitment to environmental issues that face the industry, and will only purchase from reputable and environmentally sound saw milling groups that have a strong environmental, social and humanitarian obligation to the areas and communities they work in. Bainbridge Manufacturing, Inc. in Waterville, Washington has been in business for 57 years and designs, manufactures, sells, packages, warehouses and ships top quality plastic hardware for cabinets, closets and furniture. The Bainbridge catalog has just added several drawer slide spacers with 1/4" holes for screws and 5mm pegs for easy alignment in a 32mm line bored or CNC drilled case. These are attached to the inside face of the cabinet side, and align the back end of a drawer slide parallel to the front end, which is in turn attached at the face frame. They come in various thicknesses to match the width of the face frame stiles inside the cabinet - the distance from the drawer opening to the side of the cabinet. Shown here are the 36011-3/4" thick drawer slide spacer in white (left); the 36021-1" spacer in silver (center); and the 36261-5/8" spacer in white (right). 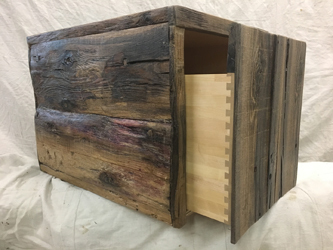 The American Association of Woodturners (AAW) has announced the winners of the Turning to the Future student competition and juried exhibit, which promotes opportunities in woodturning while it showcases student talent. The students, both high school and college, were recognized with awards at the AWFS Fair. The winners were selected by artist Beth Ireland. The first place winners received $500, second place received $100, and Best in Show winners received a Jet 1221VS midi-lathe, donated by Jeri and Christian Brisepierre of the Woodworker's Emporium in Las Vegas. California-based CNC Factory has introduced "the first and only Lockdowel automatic inserter machine with four stations". The company has worked with Lockdowel to build an easy-to-use, fast and affordable machine. The Scorpion LDR offers a seamless look on drawers, fronts, closets and more. Plus, it eliminates the need for glue and reduces labor costs. Building with Lockdowel connectors on this machine is an easy 'snap or slide' process. It has four working zones, automatic material loading, laser guided robotic measuring, advanced wireless barcode reading - and a single employee can run it. 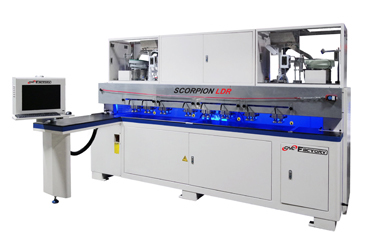 The CNC Factory Scorpion works with software programs such as Cabinet Vision, Mozaik, Top Solid, Solid Works, Microvellum, Imos and more, and it provides an integrated platform for growth in robotic lean manufacturing. It is powered by Delta inverter and servo hardware for high speed precision. Quickscrews was founded in 1987 and is based in Livermore, California. The company celebrated its 30th anniversary at AWFS by giving away some cash. Its booth was set up for the Drive To Win contest, where show attendees raced against each other to drive ten screws. The winners were awarded a $100 prize, and the screws were the Quickcutter brand. The object was to allow woodworkers to see for themselves, in a hands-on demo, how this hardware can save time and labor on casework assembly. Depending on the size of a cabinet, its wood or panel species, and the kind of joint being built, the company can supply the right screws with the correct thickness, length, thread and point. The booth was one of the busiest at the show, and it looked like the staff were having even more fun than the contestants.